IMSD facilitates the mentor-student match for each student. After being selected into the program, all IMSD students are required to interview with three faculty mentors in order to ensure the best match. The SDSU faculty listed below currently mentor IMSD students. Applicants may also consider other research mentors not listed below. Please be sure to check your department’s website for the most up to date information about faculty members, research interests, and contact information. Research Interests: Accretion-Powered systems: AGN, CVs and X-Ray Binaries; transiting exoplanets. Professor of Biology, Ph.D., Wesleyan University (1979). ResearchInterests: Molecular analysis of gene expression during Drosophila muscle development; molecular and ultrastructural defects of Drosophila muscle mutants; function of muscle proteins isoforms; mechanism of alternative RNA splicing. Assistant Professor of Biology. 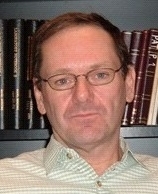 Ph.D., Cornell University (2004). ResearchInterests: Behavioral ecology, predator-prey interactions, animal communication, foraging behavior, conservation ecology, integrating animal behavior with population ecology. Office/Lab: Life Science 224A/224. Phone: 619-594-1527 (office) / (lab). ResearchInterests: the overall interest of the lab is the study of bacterial pathogens associated with Central Nervous System disease. We examine the mechanisms by which bacteria penetrate the blood-brain barrier, in order to cause meningitis. Our studies focus on major human pathogens including Streptococcus, Staphylococcus aureus andBacillus anthracis. We seek to identify bacterial genes and gene products responsible for cellular invasion, and to characterize the host innate immune response to infection. Office/Lab: Life Science 317A/317. 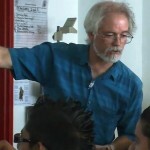 Phone: 619-594-1867 (office) /-4291 (lab). Research Interests: Autoimmune diseases associated with a previous viral infection. Mechanisms of enteroviral persistence and pathogenesis. Susceptibility of stem cells to virus infection and coxsackievirus-associated neonatal disease. Office/Lab: Life Science 358/351,54,56. Phone: 619-594-7377 (office) /-0777 (lab). Professor of Biology. Ph.D., University of California, Los Angeles (1979). 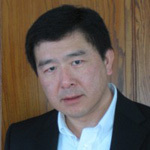 Research Interests:Regulation of cardiac-specific gene expression; mechanisms of cardiac myocyte derived hormone secretion. MS and PhD student mentor. Office/Lab: Life Science 326C/315. Phone: 619-594-2958 (office) /-2960 (lab). Research Interests: Molecular and physiological analysis of phototransduction in Drosophila; biophysical analysis of ion channel function; isolation of neuron- specific genes. Phone: (619) 594-5655 (office) /-5038 (lab). Professor of Biology. Ph.D., Washington University (1995). Research Interests: Speciation, phylogenetics, biodiversity, spider biology & evolution, evolution in caves. Office/Lab: Life Science 204F/206. Phone: 619-594-6230 (office) /-1107 (lab). Research Interests: Soil microbial ecology; plant-microbe interactions; biogeochemistry; linking microbial diversity to ecosystem processes. Office/Lab: Physical Science 241C/241A,241B. Phone: 619-594-4460 (office) /-5602 (lab). Research Interests: Research in his lab focuses on bacterial physiology, genetics, genomics, and the evolution of microbial pathogens. Research Interests: Molecular ecology and evolution of amphibians and reptiles, particularly those of the southwestern U.S. and Mexico. Professor and Chair of Biology. Ph.D., University of Utah (1987). Research Interests: DNA recombination and chromosome structure. Office/Lab: Life Science 327/331/332/. Phone: 619-594-4490 (office) /-6528 (lab). Research Interests: Use of random peptide libraries and other chemical genetics approaches for the study of viral pathogenesis and the search of antiviral factors. Main focus on HIV-1and HCV. Office/Lab: Life Science 304A/304. Phone: 619-594-8668 (office) /-5353 (lab). 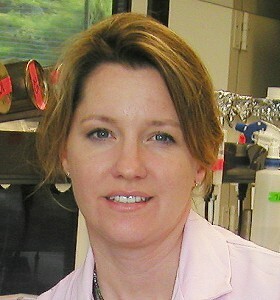 Assistant Professor of Biology, Ph.D. Tufts University (2003). Research Interests: Stem cell biology. Molecular mechanisms underlying regeneration of the nervous system in planarians. Office/Lab: Life Science 306A/306. Phone: 619-594-2698 (office) /-3042 (lab). 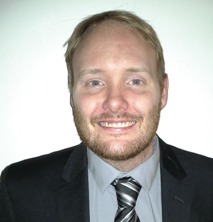 Research interests: The main focus of my research is the syntheses and subsequent evaluation of biologically active target compounds having effects against various forms of cancer, rheumatoid arthritis and infectious diseases. Azaspirene, a member of the pseurotin family, represents a novel and unique anti-cancer agent, extraordinary in its ability to inhibit angiogenesis. Rather than destroying cancer cells via conventional chemotherapy and radiation, azaspirene turns off blood supply signals sent out by the tumor cells. My research is to develop the means to chemically make azaspirene and a library of hybrid pseurotin analogs with potential properties against cancer or arthritis. My research intertwines development of specifically new methodology in organic synthesis and new strategies toward relevant target molecules, e.g.Streptogramin type antibiotics, Epothilone analogs, and Cytotoxic Alkaloids (Micromide). 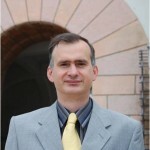 Research Interests: Bioinorganic chemistry, these extend from models for zinc, molybdenum and non-heme iron metalloprotein active sites, to design of metal complexes as artificial restriction enzymes for molecular biology to the mechanisms of iron transport and storage in microorganisms to the design and synthesis of new metallodrugs to the study of isotopic fractionation of iron in microorganisms. 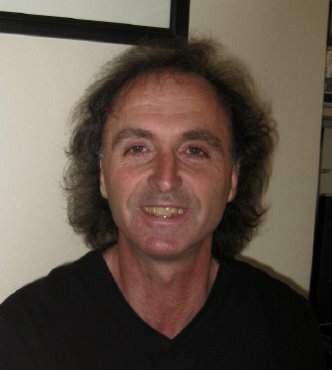 Research Interests: Reactive intermediates in combustion, interstellar chemistry, chemical synthesis, and biochemistry; investigated by laser spectroscopy and spectroscopic theory, and by computational quantum mechanics. Molecular free radicals are crucial to the chemistry of combustion, the upper atmosphere, polymerization, and interstellar molecular clouds, and also figure in many biochemical electron transfer processes. We are interested in the physical and chemical properties of these molecules, particularly those containing conjugated π-electron systems, such as HC3O and C4H and the biochemical quinones, because the delocalized orbitals can confer surprising dynamic and reactive properties to these systems. Research Interests: We are contributing to innovation and understanding in catalysis, clean energy production, nanotechnology, and medicine. Research Interests: Research in the Gustafson group strives to apply innovative chemical strategies towards complex biological problems. Ongoing projects focus on three main areas (a) The development of chemical methodologies that enable the enantioselective synthesis of complex molecules; (b) The application of these methodologies to access new selective small molecule probes pertaining to aberrant protein phosphorylation; and (c) The design, synthesis and evaluation of small molecule vanadate complexes as phosphatase inhibitors. 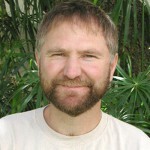 Research Interests: The development and application of new separation techniques and systems is the primary focus of the research conducted in the Harrison Lab. Our work focuses on the utility and development of dynamic capillary coatings for CE separations. The need for dynamic coatings and an understanding of their function, is paramount in CE separations. The dynamic coatings allow for the control of the electroosmotic flow, a key factor in all CE separations whos magnitude and direction must frequently be altered to achieve a desired separation. We are studying the function of various capillary coatings, with a focus on novel compounds with unique chemistries, such as phosphonium cations. In addition to studying the fundamentals of electroosmotic flow optimization we are applying our knowledge to the separation of analytes including small ions, proteins, nanoparticles and whole blood cells. 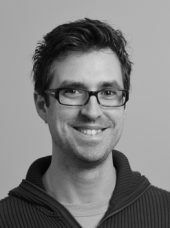 Research Interests: understanding regulation in the transcription factor NF-kappaB signal transduction pathway. ; IKK structure and function, Nuclear IkappaB structure and function. Research Interests: The emphasis of our research is on unraveling the mechanisms by which molecules react on solid surfaces. Such reactions play a critical role in a variety of naturally occurring and technologically important processes, including the fabrication of modern electronic devices, heterogeneous catalysis, and corrosion. The viewpoint we take is that control and optimization of these surface reactions is best accomplished if details of the reactions are understood on a molecular scale. Research Interests: In the Purse Lab, we are interested in using molecular design and synthetic organic chemistry to create new molecules that can serve in practical applications and be used to study the fundamental relationships between molecular structure and properties. With new molecules in hand, we use the tools of modern physical organic chemistry to study their properties, including self-assembly, molecular encapsulation, fluorescence, and the ability of some of our molecules to functional as molecular probes or prospective medicines. Students working in the Purse Lab can expect to gain hands-on experience in current synthetic methodology, organic compound characterization, methods for studying the kinetics and thermodynamics of reactions and molecular complex formation (NMR, ITC, optical spectroscopy), and recently biochemistry! 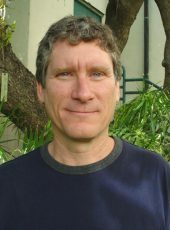 Research Interests: Electron transfer, proton transfer and hydrogen bonding; better understand different mechanistic paths through which electron and proton transfer can be coupled together in reversible organic redox reactions, with a particular emphasis on the role that hydrogen bonding is playing in these mechanisms. Research Interests: Research in our laser laboratory is directed toward the application of novel nonlinear multiphoton laser spectroscopic methods in the development and understanding of new methods in laser analytical spectroscopy. Emphasis is placed on the understanding of fundamental principles and experimental observations of new spectroscopic phenomena. Integration of innovative nonlinear laser techniques and computer interfacing of high-precision instrumentation provides many advantages with new experimental possibilities over conventional laser spectroscopic methods in analytical problem solving. 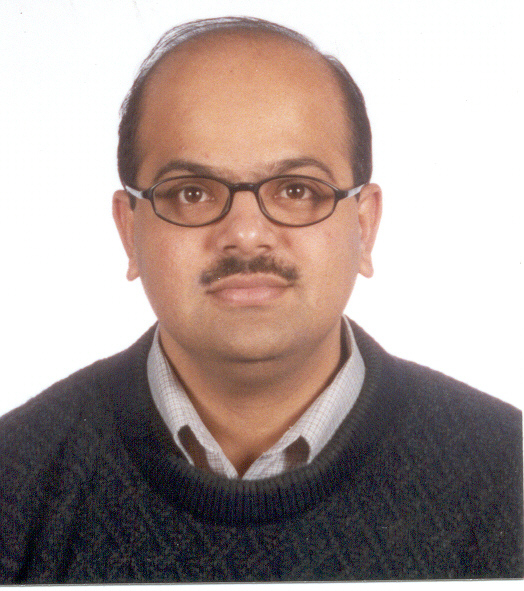 Research Interests: Dr. Venkataraman’s expertise is in the area of structural optimization. 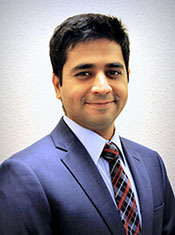 His recent work has investigated progressive failure predictability of composite laminates. 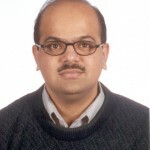 He has published papers on identification of factors affecting failure predictability and use of surrogate measures to improve robustness and failure predictability (Venkataraman and Salas, 2007), use of structural fuses to control failure and improve robustness and failure predictability (Salas and Venkataraman, 2007), investigation of effect of model uncertainties in progressive failure predictability (Salas and Venkataraman, 2006), and effect of load redistributions and competing failures in progressive failure of redundant truss structures (Marhadi and Venkataraman, 2006). Research Interests: Asymptotic analysis, special functions, ordinary differential equations. Research Interests: The ultrafast optics laboratory at SDSU is ready to undertake the experimental endeavors proposed here. The lab includes a Ti:Sapphire oscillator (capable of generating 10-100 fs pulses), a multipass amplifier, computers, electronics, assorted optics and mounts. At 200-300 mW output, the oscillator permits a range of experiments without amplification. There are two operational pulse shapers currently in the lab. The first is a temporal pulse shaper. It is a grating-based 4f system using a liquid crystal spatial light modulator (SLM) consisting of two 128 arrays sandwiched between polarizers (Cambridge Research SLM-256). This device can shape both the amplitude and phase of our femtosecond pulses. The outgoing temporal structure can be conveniently monitored using a SPIDER pulse characterization apparatus. 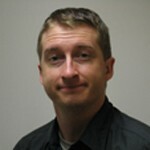 For a SPIDER review, see [Anderson LPL]. With this system we have demonstrated, for example, the ability to compress complicated pulses back to the transform limit in a single step (an experiment that was highlighted in Optics & Photonics News’ “Highlights from the year in Optics”) [Anderson OPN]. 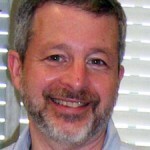 Research Interests: Brain bases of autism from early development through aging. Methods include anatomical MRI and structural connectivity MRI (diffusion MRI) in combination with cognitive measures and other imaging modalities. Particular interest in the brain and cognitive changes that occur in middle age and aging in adults with autism. 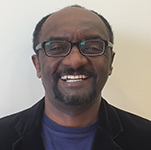 Research Interests: Community interventions, community psychology, literacy development, multicultural issues, coping and chronic diseases, and health care utilization. Research Interests: Issues related to social identity, stereotypes, prejudice, and discrimination. We explore how attitudes and beliefs about self and social groups operate outside of conscious awareness or control. 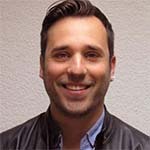 Research Interests: Dr. Gallo’s research focuses on psychosocial and behavioral processes in chronic disease risks and outcomes and on socioeconomic status and ethnicity-related health inequities. Much of her research applies a multi-level, inter-disciplinary, bio-psychosocial approach, incorporating macro level factors such as social status and ethnicity, individual and family level psychological and social factors, and biological mechanisms and indicators of health and disease (e.g., subclinical assessments of atherosclerosis; ambulatory blood pressure; inflammatory markers). Research Interests: My primary research interests focus on cognitive, behavioral, and motor changes in older adults and individuals diagnosed with neurodegenerative disease. I am particularly interested in memory impairments associated with healthy aging, Alzheimer’s disease, Huntington’s disease, and Parkinson’s disease. Research Interests: Adjustment to chronic illness in children and adults; beliefs about physical and mental illness; measurement of ethnic identity and acculturation; ethnicity and psychopathology. Research Interests: We study functional and anatomical brain development in neurotypical children and those with developmental disorders (especially autism). Research applies multimodal magnetic resonance imaging techniques (functional and functional connectivity MRI, anatomical volumetrics, diffusion tensor imaging and tractography, MR spectroscopy), as well as eye-tracking, behavioral, and neuropsychological measures. Research Interests: Research interests are varied, but center on the relationship of the brain to behavior. There are several research projects investigating normal function and function in impaired populations: Patients with Alzheimer’s Disease, Huntington’s Disease, Down’s Syndrome, the elderly, head trauma patients, normal children, children with head trauma, and whatever new populations become available to provide a window to the functioning of the brain. Research Interests: Areas of interest include category differentiation and inter-group evaluative bias, the formation of stereotyping and prejudice in groups and the implications for information processing. Research Interests: Research in this lab involves mental health services delivery for children, with particular interests in cultural issues, cultural competence, school involvement in services, and adapting efficacious treatments for culturally diverse populations.